Blindflug Studios are the people behind one of our favorite indie mobile games - First Strike. It is both a quick and fun strategy game with stellar visuals and a transparent message we should take nuclear weapons seriously. We have reviewed the game, and included it in our list of top 5 creepy mobile games that kill humanity. International gaming community awarded first Strike with numerous prizes, and luckily for the game's fans, folks at Blindflug are still working hard on the project, adding more content in new updates. Keep an eye open on iTunes and Play Store for First Strike 1.2 release, which brings a slew of new super-weapons and cool features for free. If you have been wanting to see the awesome graphics on a larger screen, you are also in for a treat because Blindflug Studios are bringing First Strike to Greenlight on Steam, with a demo becoming available on the same release date - December, 11. Blindflug Studios are located in Zurich, Switzerland (a neutral country, mind you). Created in 2014 by a group of seasoned developers from creative agency Feinheit, Blindflug quickly became internationally famous for First Strike, harvesting international and domestic awards. Their philosophy is making beautiful and entertaining games around complex human problems, offering hours of fun gameplay and a reason to re-consider how we treat each other. How did you guys come up with a nuclear war idea? Did someone have a special interest in the Caribbean crisis, Hiroshima and Nagasaki, or Chernobyl tragedy? Well, we come from a kind of political background. Blindflug was founded out of the game team from the creative agency FEINHEIT. We used to have a lot of NGO and political party clients, so naturally everyone in the agency has quite an interest in social issues. So, when Moritz, our co-founder and president, and I were pondering about a fast paced strategy game on tablets, the topic of a third world war resulting in a global thermonuclear showdown kind of stuck in our heads. Its a fascinating topic in general, because even though the worldwide arsenal is still massive and events like the Ukraine crisis come close to putting us back into a new cold war, most of my generation aren't really thinking about the nuclear threat too much anymore. It’s like with the fall of the Berlin wall and the dissolution of the soviet union, the scenario has been swept under the rug. First Strike brought you international acknowledgement AND it was your official launch title? How did you manage to make your first game this awesome? Where did all that collective experience come from? Ha, thank you very much. Fortunately, we weren’t starting from the ground up. We had a team that had several years of experience in doing client work. We also all individually already had a stab at creating an own indie game beforehand. But all of us had to learn, that the game world isn't really starving for new games. Our monetary rewards were collectively lower than the average salary, I think I was actually top scorer with around 1000$ for "Hollow Grounds," so with the know-how of all those failures, we managed to evade some of the classic mistakes. The game looks like a titanic job has been accomplished, and a lot of love and talent has been invested in it. How long did it take to create the game from the inception of an idea to the launch? And how many people work on the project? Actually, believe it or not, we built First Strike quite fast. First Strike took 2.5 people full-time to work 3.5 months from start to finish. We wanted to optimize the game for one core functionality, shooting missiles around the globe, and make that as fast and enjoyable as possible. Lots of features were cut to minimize the risk when launching it into the app store. But we definitely had a lot of support from the people around us. There are eight people who work on the game as the core team, but countless others helped us out so much. People doing documentary clips, 3d prints, buttons & stickers, testing, social media hoaxes, trailer help, promotion, etc. . In the end there's a huge crowd who all helped getting our first project to fly. "From left to right: Boris, Nada, Moritz, me, Moritz G and Diego"
Where did you seek inspiration with your graphic design? The vision of Diego, our concept artists, and me was mostly to have the most beautiful earth we could make, floating lonely in space. I also feel like Michel Barengo, the music artist, did an incredible job of getting our vision right in that regard. From there it is was the key priority to make the destruction visible once the war breaks out. I wanted people to feel kind of bad in the end, when they look down to the small blue rock, they destroyed. The earth is kind of our main character. With that in mind, we built all the elements around it. Circular shapes, 3D interfaces, everything is always designed with the planet taking the center view stage. There were several nods we tried to incorporate, especially stuff from outside of video games. 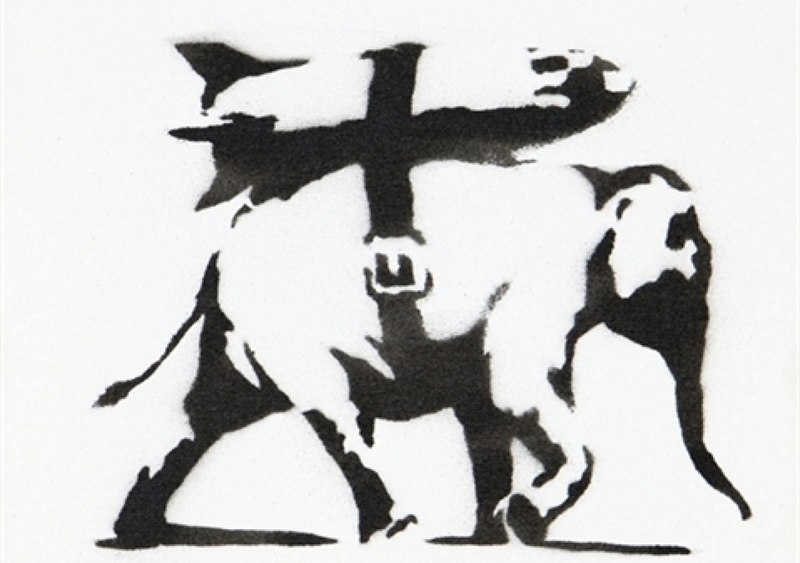 Our app Icon is similar to Hans Erni's poster "Atomkrieg Nein," our Splash Screen is a nod to Bansky's "heavy weaponry elephant" and our intermediate range missiles are modeled after the missiles in "Dr. Strangelove." Actually they even have the same sentences on them if you look closely. It's the tiny stuff like this that gave us ideas. What were the major challenges in the development? I could now tell you about how many times I hated myself for doing a strategy game on the globe. Seriously, these vector calculations texture adjustments were so much harder on a sphere. It must have cost me days to get trajectories and damage visuals right. But it was also the first time Nada, one of our coders, did an AI. That kept us occupied quite a lot. Obviously, you get mostly positive feedback, but do you also get negative opinions on FS, such as 'making a nuclear war scenario a premise of the super-fun strategy game makes the whole idea of a nuclear war even more casual than it used to be.'? Sure, and it was expected. We were called exploitive and controversial because of the topic and our approach. Sure, it's unusual that we consciously try to make a game about a serious topic as fun as possible, but I see a lot of potential in that regard. Games aren’t just simulators, like movies aren’t just documentaries. 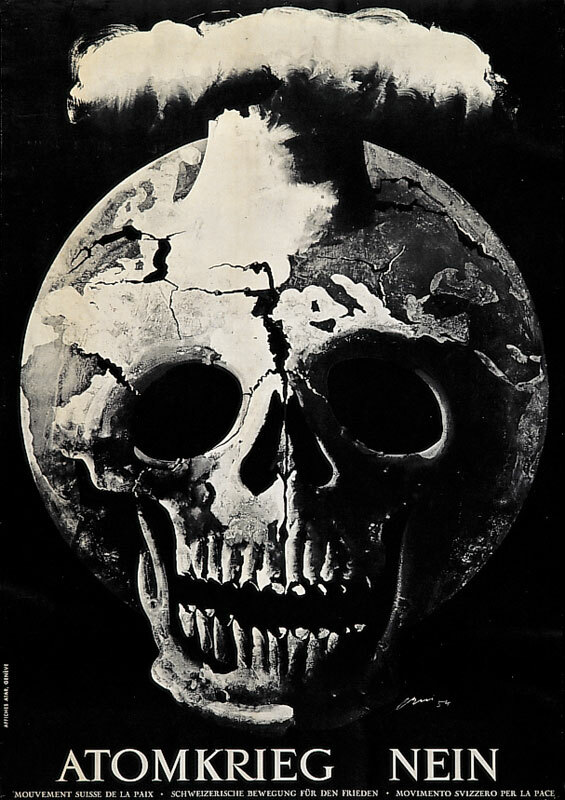 We might have our nods to “Dr.Strangelove”, Banksy or Hans Erni, but our main inspiration was actually the movie "War Games". Because First Strike, like War Games, can just be enjoyed without having to ponder about its social criticism that much. War Games is primarily a fun kids movie about a teenager on a whacky adventure. And while it doesn’t require you to get its message about the dangers of the arsenal and how fast escalation can happen, it was fascinating to see, that the message still stuck with many for years to come. At the end screen of first strike you can decode the famous sentence" a curious game, the only winning move is not to play" and got recognized immediately by critics and players. Do you feel like your game's educational, philosophical message reaches the audience? Certainly it doesn’t reach everybody. We have lots of people who just enjoy controlling the hot seat of a superpower and blowing up the world. And that’s fine, we designed it that way. First Strike isn’t supposed to wag a finger at you, instead letting you enjoy it nonetheless. But we are, of course, very very happy that our message got picked up by so many review sites and critics. And if someone comes to us on Facebook and tells us he actually found the true ending of the game, that always makes me proud. Do you think world's leaders realize where the current international tensions lead? Do you think humanity has fully realized the extinction threat behind a nuclear war to never let it happen, or our leaders' hormones can still end up in a worldwide blast? Well, I hope so at least. I guess Mutual Assured Destruction is still as much key as it was during the cold war. But the monopoly on nuclear weapons will not be held by the superpowers forever and what an atomic bomb could spark in the hands of a fanatic group is a frightening thought indeed. I feel that the topic is one we are glad it isn't brought up so much since we feel an obligation to do something whilst feeling very powerless. With the recent escalation of tensions between the nuclear states, does your own game feel even creepier than before to yourself? Certainly. When we started development, North Korea was a big topic. But their endeavors in becoming a nuclear power are so overshadowed by the crisis in the Ukraine these days it's eerie. Any personal tips and tricks on First Strike? Is there a favorite scenario in the game you particularly enjoyed accomplishing? There is a certain algorithm to the AI when it considers you a priority target. There is a sweet spot when you have a certain size but not too many missiles that most of the AI players will completely ignore you. Most of the time players amass missiles which in turn has all AI players consider them priority threat. The trick is to stay below the radar till you are sure you can completely annihilate an AI player. One thing I really like to do in testing sessions is what I call the "Cruise Rush". Take a superpower like Brazil, go for expansion capabilities and expand quickly around enemies while building cruise missiles. It is possible to rush even bigger powers like Russia when playing as Europe by expanding around them and bombarding them with quick, almost un-interceptable cruise missiles launches. Why did you choose premium over freemium business model? Because I feel like freemium is an even bigger risk for indie developers. Without a massive marketing budget, you will never attract a big enough audience to get revenue from wales. There are so many big companies fighting over the top positions in the free charts right now, I don’t feel like we could compete. Especially considering most free games take up a lot of time from players. Plus many free to play games act on such strong psychological methods it severely hampers game design, but that’s just my opinion. Premium, on the other hand steadily gains a fan-base of players who realize that even a 4$ game is cheaper than a pumpkin spice latte at Starbucks. Mobile games are now allowed to cost up to 7-8$ these days, so even small studios have a chance of getting back the investment these days, which is nice. Also, most people stop playing after a while, meaning they will buy new games afterwards. How are you tackling success? You don't seem to be resting on laurels, and we hear news of the upcoming new perks for mobile game as well as the upcoming Steam release. What are your personal favorite new features gamers should be excited for? Well, we always said, if one of our fast built games works, we take it for another round. With First Strike 1.1, we added superweapons and mobile phone support. Now with 1.2 we double the amount of superweapons, add localizations and simultaneously go for a Preview version for PC & Mac while doing Greenlight. We don't know if it will work again, but it's worth a try. That's one of the best things right now with self-publishing. We can try out if the PC community accepts a smaller, faster strategy game like First Strike for a small price. If no-one cares about our Greenlight and Early Access, we know that we don't have to do spend time on it. And if people love it we know there is potential. I'm really excited about how the reception will be. Any piece of advice for aspiring and indie game developers? I’m sorry to say, but: Promotions is half the battle. There is so much stuff launching on mobile and all journalists are so busy. You need to be honest, open, interested in who you are talking to and have a cool story ready. Also, take your time. We released three months after we finished First Strike, just to get people a bit excited beforehand. What are you busy with right now? Any other upcoming projects at Blindflug Studios? We are working on our next game at full capacity right now. It's gonna tackle a huge topic again I wanted to make playable for a while now. So till December we want to try out if it works. It's kind of a mix of Immigration, FTL and Nausicaa of the Valley of the Wind. I'm really excited to see if it plays out like we imagine it. What are your personal/ or collective Top 5 mobile games? This year I really liked 80 Days, Out There, The Firm, Bounden and Back to Bed. There are a lot of interesting premium indie titles out there that try to do new things. Do you have time to play and rest at all? Working with gadgets and screens all the time, do you have time to disconnect from tech? What do you do when you are not coding? Luckily I still love playing game. Currently, I'm still trying to play through the Metal Gear Legacy Collection. I'm up to MGS3 now. Other than that I still enjoy painting a traditional acrylic painting from time to time or throwing a board game party. We use to buy used board games for 2-3$ at the goodwill and testing them all out, which is always a blast with enough beer. Even the worst board game about Swiss geography or golfing is a blast with beer and friends. We thank Jeremy Spillmann for the amazingly sincere and thought-provoking answers, and wish Blindflug Studios all the best with the First Strike 1.2 launch, as well as their new projects. Keep up the great work bringing us the games we love playing and discussing!